Home » Posts tagged "moth"
A while back I was north in Norway and had one of these in my box (this was before I had started tying), and had very good luck with it. This “Hvitvinge” from André Brun is a great moth imitation that makes a lot of noice and movement on the surface and will keep on floating forever. I bought a couple of bags with the foam from André Brun and got it in the mail yesterday, I had to tie up a round of these on a TMC 100BL to see how it is to work with. 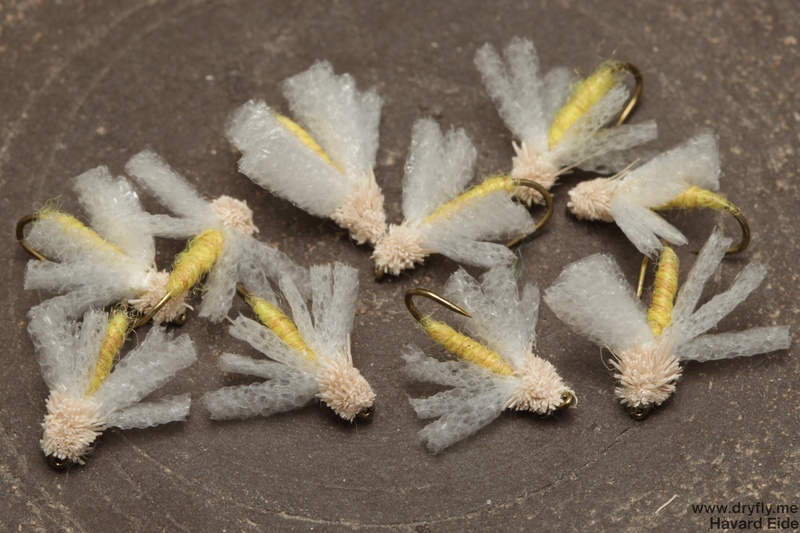 Once you get the layering and tying in of the foam (at around the second fly), this is a quick and effective fly to tie up. Will experiment with some different body/head color and also tie it up on a non-bl hook.